Nancy Pelosi: Just How Unpopular Is She? 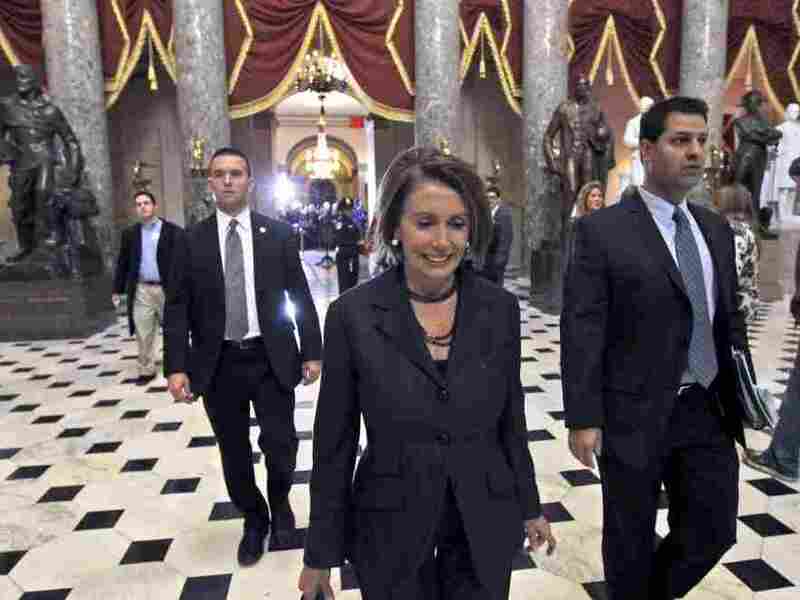 : It's All Politics Nancy Pelosi's negatives place her in the neighborhood of the unpopular Tom DeLay and John Edwards, according to Nate Silver of the FiveThirtyEight blog. That's fairly shocking for an active party leader. We knew House speaker for the time being Nancy Pelosi was very unpopular but Nate Silver of the FiveThirtyEight blog gives us some context by comparing her approval-disapproval numbers with those of other politicians. By subtracting her negatives from her positives he placed her somewhere in the neighborhood of Tom DeLay, the former Republican House Majority Leader, and John Edwards, the one time Democratic presidential candidate. And that's after the revelations about Edwards' affair. Needless to say, that's shockingly low for an active party leader who her fellow House Democrats hope will return their party back to the majority in two years. ... If we expanded to the playing field to include some politicians who no longer play a prominent national role, we might find some with comparably bad ratings to Ms. Pelosi. John Edwards, after admitting to an affair, had an average rating of negative-28 in two polls conducted in late 2009, although nobody has bothered to survey him this year. Tom Delay’s scores averaged about a negative-25 at the time he left office in 2006, although he was less well-known at that time than Ms. Pelosi is now.